Click here for more insights from WPC 2015. Finally, I would like to thank our customers, partners and associates for your trust, support and partnership. Netwoven was honored to receive the cloud computing excellence award by Technology Marketing Corporation and also recognized as one of the fastest growing private companies in the US by Inc. Magazine. As always, I welcome your comments and feedback atntenany@netwoven.com. To support the increased demand for Office 365 migration, Netwoven has created several services to streamline the migration process. 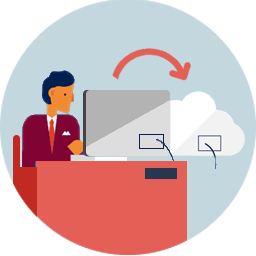 We offer a two day Office 365 workshop delivered by our experienced consultants to help clients who are interested in migrating part or all of their services to the cloud. This action-packed workshop uses real life examples from Netwoven engagements and packaged it into a workshop full of practical advice to help you consider all the aspects of your migration strategy.We’ll provide introductions to Office 365, integration with third party tools for improved collaboration, security and controls, Power BI, and OneDrive integrations, among many other topics.We’d be delighted to conduct a workshop for your company—just email us at info@netwoven.com. By leveraging technology, we’ve helped companies like yours improve business intelligence dramatically while also significantly reducing the number of hours per month expended. Netwoven can work with you to integrate your existing systems with Microsoft Dynamics CRM and SharePoint for improved collaboration, business processes and reporting. For additional information or to speak with one of our experts, please email us at info@netwoven.com or call (877) 638 9683. 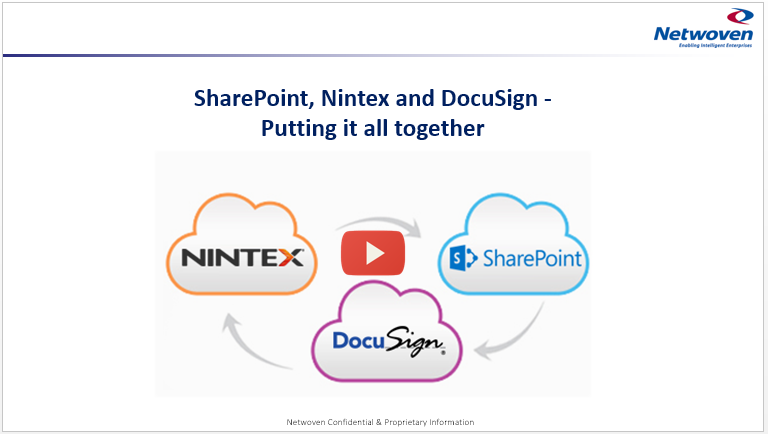 Just in case you missed our live event on “SharePoint, Nintex and DocuSign – Putting it all together”, here’s the recorded session. Click on the image below to view the recording. We invite you to share your questions and comments with us at info@netwoven.com. Netwoven is honored to be included in the Inc. 5000 list of America’s fastest growing private companies. Netwoven earned a spot on this year’s prestigious list based on the company’s three-year sales growth rate of 125 percent and above average customer service. Read the full story here. Technology Marketing Corporation, a global integrated media announced Netwoven’s Jive to SharePoint Migration as a 2015 Cloud Computing Excellence Award winner. Netwoven is extremely honored to have been recognized for their proprietary solution to migrate content from Jive to SharePoint, which uses no commercially-available tools. Please reach out to us at info@netwoven.com if you’d like to schedule a session to discuss your Jive to SharePoint migration. Netwoven Inc. is a leading Enterprise Information Management company providing services that enable more insights into information for better decision making.Founded in 2001 by senior-level executives from Microsoft, Oracle and Intel, Netwoven powers more intelligent enterprises by connecting people, processes, and information. We help medium to large enterprise customers unlock the hidden value of their information assets and derive rapid return on investment from their technology investments..
Microsoft acquires VoloMetrix – This will help boost Organizational Analytics offering with Delve.